If you plan on traveling outside the United States it’s important to know what Medicare coverage is available to you. The last thing you need are unplanned medical expenses or the inability to pay for any required care. Medicare coverage when traveling outside the United States is limited, but there are times when you may be protected. You can also take proactive measures to make sure that you don’t run into trouble. This article will address under which circumstances you have Medicare coverage when you travel beyond our borders and what steps you can take to ensure you are covered for Medical emergencies. The bottom line is, care may be covered, there is no guarantee. You should be especially aware of this when you are not in a life threatening situation and a US hospital is not that much further away or more difficult to get to. It should be noted that an extended stay in Canada in the proximity between Alaska and another State will not afford you coverage at a Canadian hospital. The concept is travel without delay between Alaska and another State. If you are a frequent traveler or plan to travel outside the United States there are a few measures you can take to protect yourself. The option you choose should be weighed against your budget and other individual circumstances. Purchasing a Medigap policy that includes coverage for a foreign travel emergency may be your best option if it is affordable. Of the ten standardized Medigap policies, six include a foreign travel benefit. You should note that coverage has its limits (typically $50,000) and coverage is for emergency situations only. Getting an annual while on vacation is probably the furthest thing from your mind anyway! Medigap plans; C, D, F, G, M, and N all include coverage for foreign travel. If you require any medical attention you should seek that in the US prior to your trip and also be certain that you have enough medications for the duration of your travels. Many Medicare Advantage plans include benefits beyond what is available by original Medicare. Some Advantage plans may include coverage when you are traveling outside of the US. Coverage may be limited if it is available at all. It’s your responsibility to read the plan’s Summary of Benefits to learn the extent of coverage available. Do not merely accept an agent’s statement that you will be covered when you travel. Medicare Advantage plans can also change, delete or add benefits year to year. Be sure to review the Summary of Benefits for the following year’s plan during the Annual Enrollment Period. 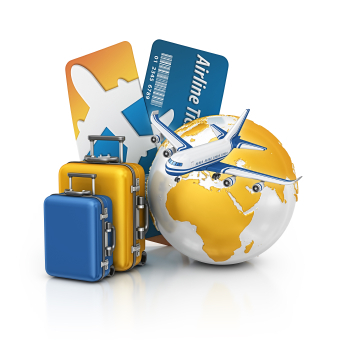 There are plenty of companies selling trip insurance (although this is not considered Medicare insurance). Some are better than others. Always ask about an insurance companies ratings before making a purchase. The lowest price may not necessarily be your best deal. Also, be certain that the policy covers medical emergency and is not merely trip interruption insurance. Read the policy so you know what’s covered and what’s not. You can often cut to the chase by reading the plan exclusions. You can also purchase trip insurance even if you have medical coverage through a Medigap policy or a Medicare Advantage plan. Understanding your Medicare coverage outside the United States is your first step and following through and choosing an option for coverage should be your next if you plan to travel.